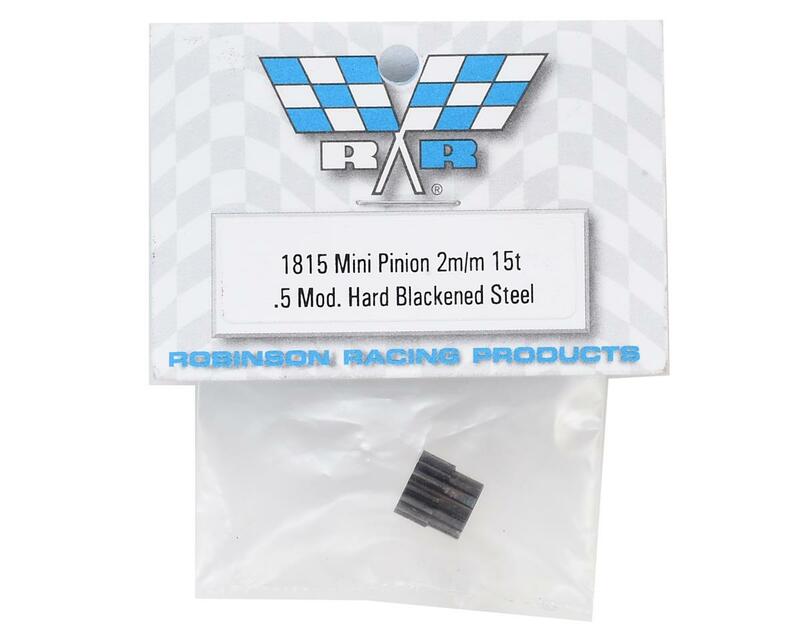 This is the Robinson Racing 15 Tooth 2mm 0.5 MOD Hard Blackened Steel Mini Pinion Gear. 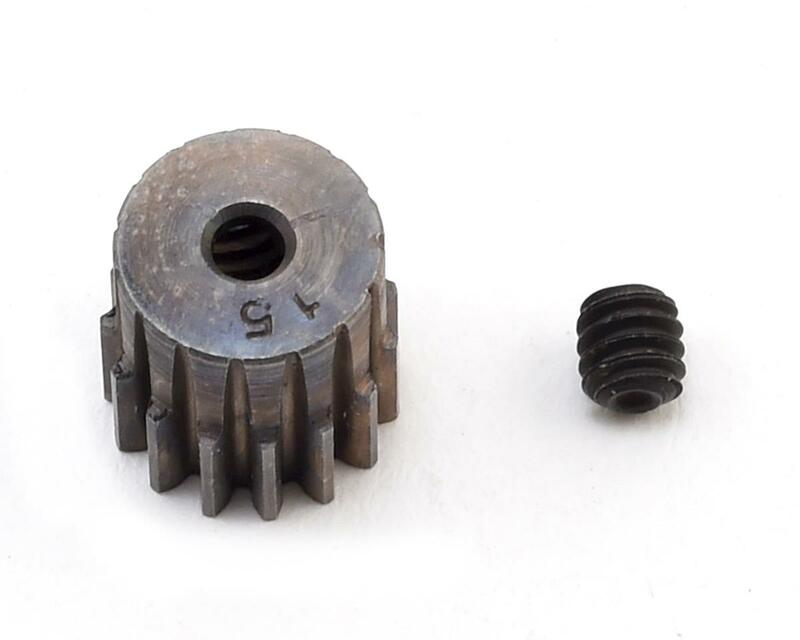 Hardened steel motor pinions precision machined and stamped with the number of teeth. One 5-40 set screw included. 1/16" ALLEN WRENCH (NOT INCLUDED) FITS THE 5-40 SET SCREW. Can be run on cars using a 2mm motor shaft including Associated and LOSI.